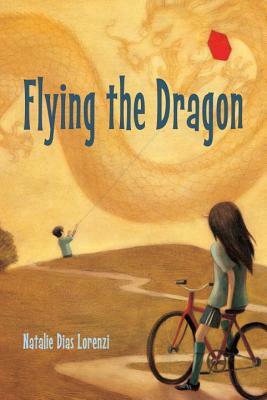 Flying the Dragon tells the story of two cousins in alternating chapters. American-born Skye is a good student and a star soccer player who never really gives any thought to the fact that her father is Japanese. Her cousin, Hiroshi, lives in Japan, and never really gives a thought to his uncle’s family living in the U.S. Their lives are thrown together when Hiroshi’s family, with his grandfather (who is also his best friend), have to move to the U.S. suddenly. Skye resents that she is now "not Japanese enough," and yet the friends she’s known forever abruptly realize she is "other." Hiroshi has a hard time adjusting to life in a new culture, and resents Skye’s intrusions on his time with Grandfather. Through all of this is woven Hiroshi’s expertise, and Skye’s growing interest in, kite making and competitive kite flying, culminating in a contest at the annual Washington Cherry Blossom Festival. Natalie Dias Lorenzi is a traveler, writer, wife, mother, and teacher, specializing in English as a Second Language. She has taught in Japan and Italy, and now teaches in a Washington, DC–area school where 85% of the students are immigrants. She also writes curriculum guides to new books for writers and publishers. Flying the Dragon is her first novel.